This is the basic meat filling to use with the stuffed plantains. 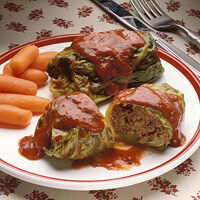 It can also be used with stuffed peppers, stuffed cabbage etc. The recipe calls for ground beef but you can also add ground sausage to the mix if you wish. 1. 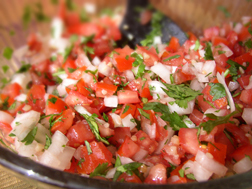 In a heavy pot, add 1 tablespoon oil and saute chili peppers, onion, green pepper and garlic for 10 minutes. 2. 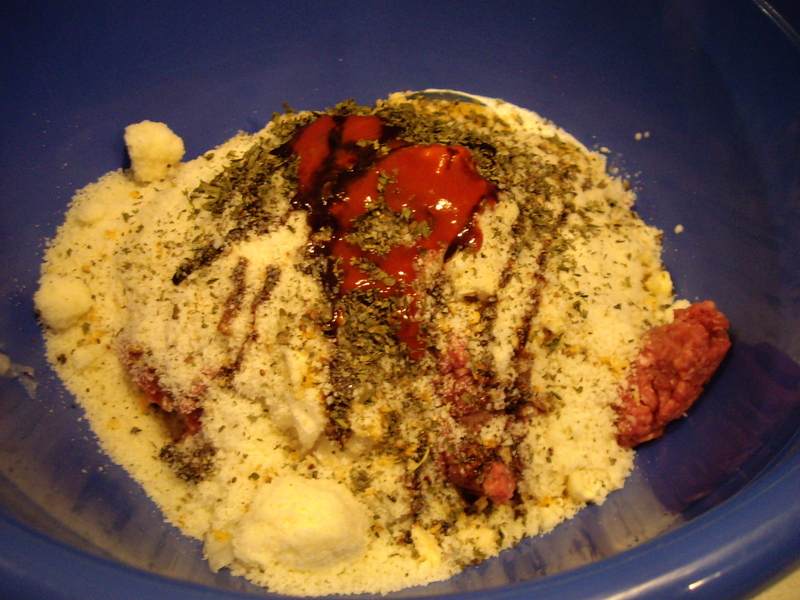 Add oregano, salt, vinegar and ground beef. Stir over high heat until meat loses its red color. 3. Turn heat to low. Add olives, capers and hot sauce. Mix and cook 30 minutes for beef or 1 hour for pork. 4. 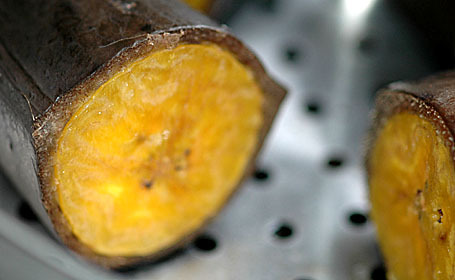 Let cool slightly so it won’t be too hot to handle when stuffing the plantains or other item. This is a favorite soup in our house. It is hearty and rich and full of fiber. It is enough for a meal in itself. It is also a great soup if you are watching your weight. The fiber will help big time. Pumpkin is so versatile and most people just think of pumpkin pie when cooking with it. I use garbanzo beans in my recipe but you can also use white cannellini beans or any other white bean. I also use one of those hand-held immersers (or boat motors as we call them) to mix/blend the ingredients rather than a blender. It’s easier for me. But feel free to use a blender. The richness and creaminess of this soup comes from the beans. There is no milk or cream added which makes it so much healthier for you! So make a pot and enjoy! 1. Coat a large soup pot with cooking spray and set over medium-low heat. Add onion, cover and cook until tender, stirring occasionally, about 6 minutes. 2. Stir in pumpkin, broth, beans and oregano; simmer for 8 minutes. 3. With an immerser* blend soup until smooth. Be careful as it may splatter. You can leave a few of the beans whole if you like also. Season with salt and pepper. 4. 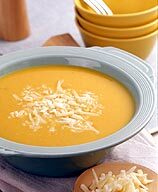 Serve with ladle and top with 1 tablespoon parmesan cheese. *If you wish to use a blender transfer soup in batches being careful not to overfill the blender. Return to pot and reheat. **Coming next Monday: Layered Salad! 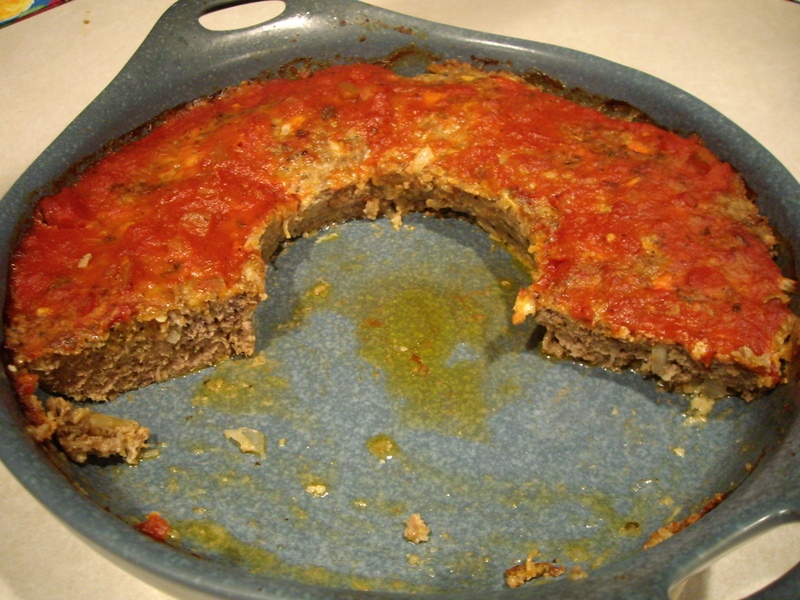 One of the all time favorite comfort foods, meatloaf. I could make meatloaf every night for John and he’d be so happy! But after a while the same old loaf gets boring. So to change things up a bit I have made them in muffin tins or as today’s title says, “in the round”. All I do is take a round casserole dish and invert a small bowl in the center and put the meatloaf mixture all around the small bowl. Ta da! 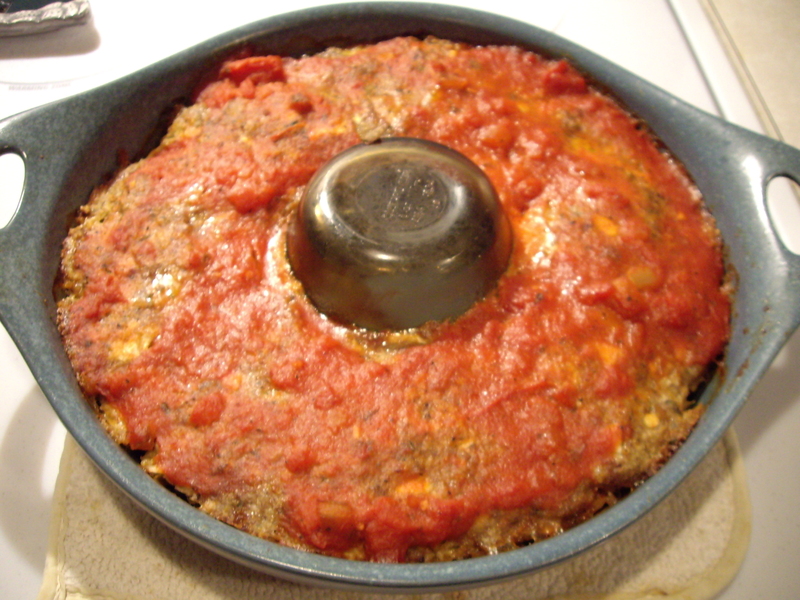 Meatloaf in the round! Still tastes exactly the same just in a different shape! The muffin tin is great too because you get little mini meatloaf muffins, though the pan is a pain to clean so I don’t do that too often! 1. 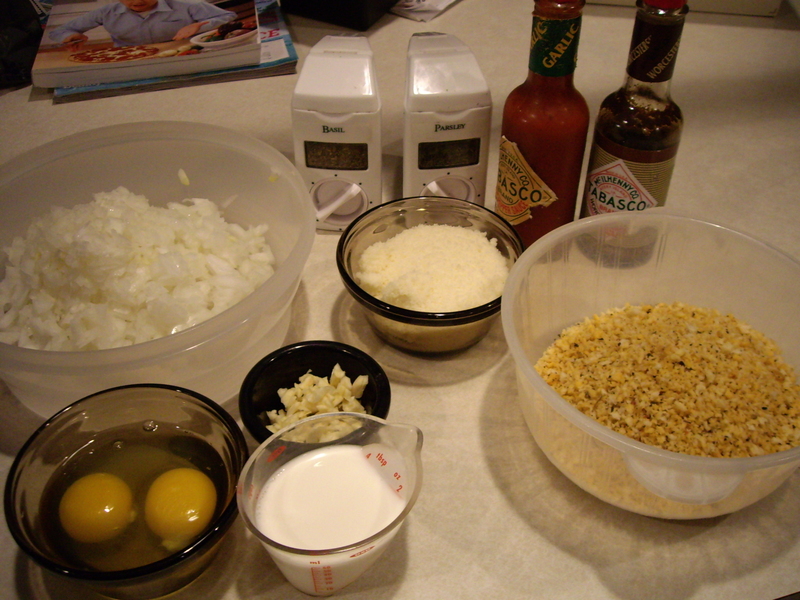 Place all ingredients in a large bowl and mix till everything is evenly mixed in. Don’t over mix though. 2. 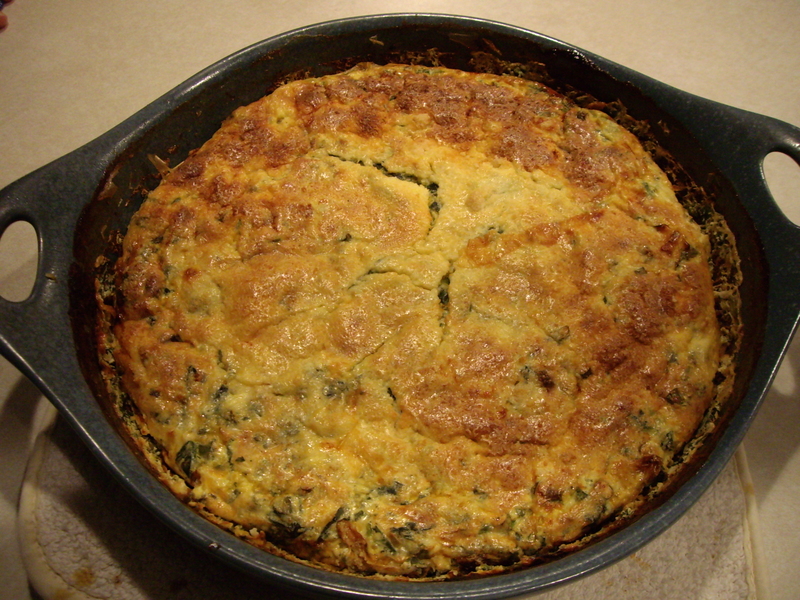 Place small bowl upside down in center of round casserole dish. 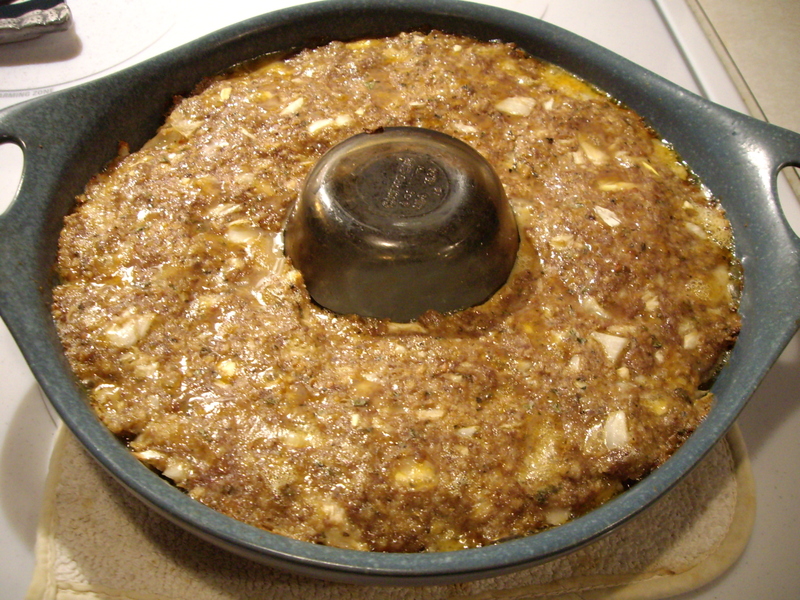 Place meatloaf mixture evenly around small bowl in casserole. 3. Bake at 350º for 30 minutes. 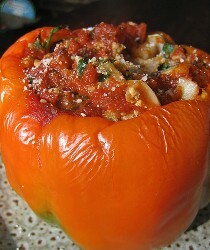 Remove from oven and spread tomato sauce or tomato paste over top of meatloaf if you wish. 4. Return meatloaf to oven and continue to bake for 15 more minutes. 5. Let sit 5 minutes before serving so it can set up a bit.